Capacity: 20000mAh. Compact Design --easy to hold in hand and put anywhere your want; Suitable for a wide range of occasions like flights, parties, BBQ and outdoor activities. We will work with you to until you are satisfied. Don't wanna wait? BUY IT NOW! 100000mAh 2 USB Solar Power Bank ************************************************************************ ★★Feature★★ ☼Brand new and high quality. ☼Stylish, portable ,user-friendly and durable for on the go use. ☼High capacity,solar powered,environmentally-friendly. ☼Emergency charger for cell phone and other compatible devices. ☼This Solar Battery Charger Power Bank used in polymer batteries, ☼performance is excellent, safe and practical,especially when you are traveling. ☼The solar panel can make full use of solar energy, convenience and environmental protection.. It's very lightweight and also foldable. foldable with heavy duty velcro fastenings. efficient and effective solar conversion ratio up to 23.5%. Ideal for Travel and outdoor use e.g. And many more outdoor activities. 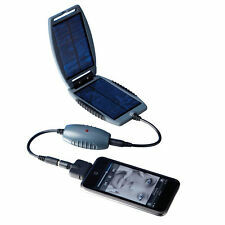 Description: This portable solar charger is designed for excellent performance and portability, which make it be a perfect solution for all types of outdoor portable power needs. Light and portable, suitable for sport, travel, camping, hiking and other outdoor activities. Where there is sunlight, there is power! Features:. 10000mAh 2USB LED Portable Power Bank. Capacity: 10000mAh. 1 x 10000mAh Power Bank. Battery Type: lithium battery. Stylish design and colorful appearance. Color: Green (Yellow / Red / Blue).